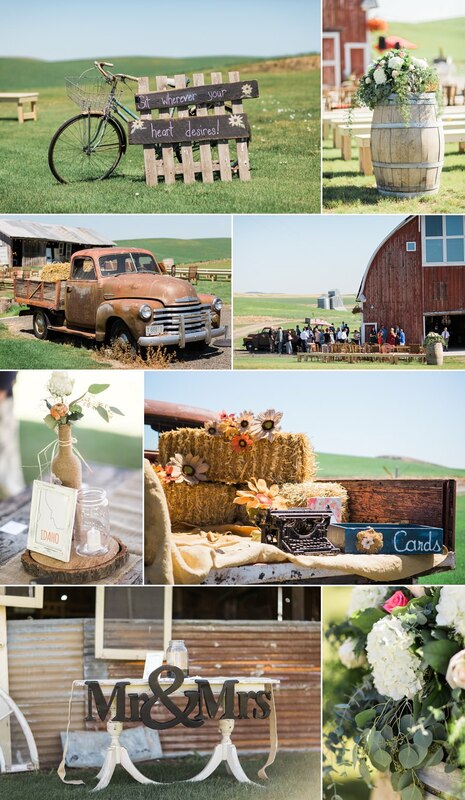 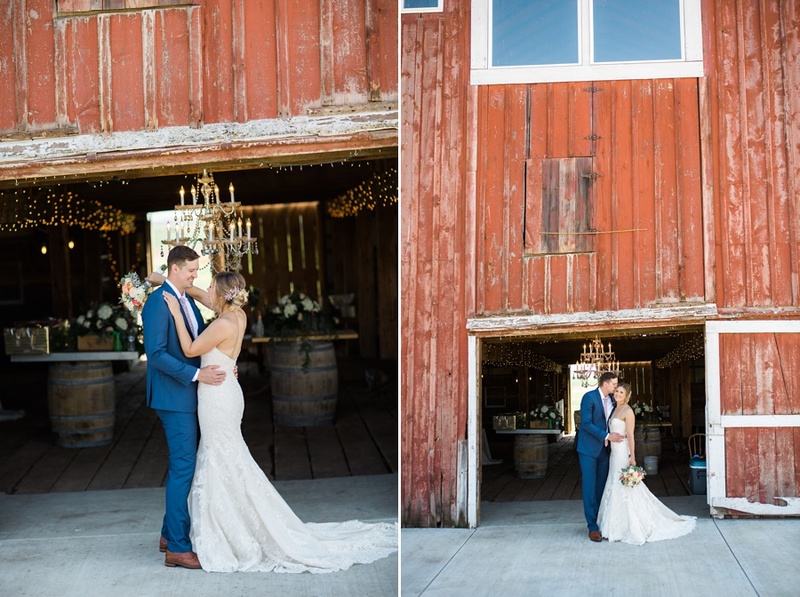 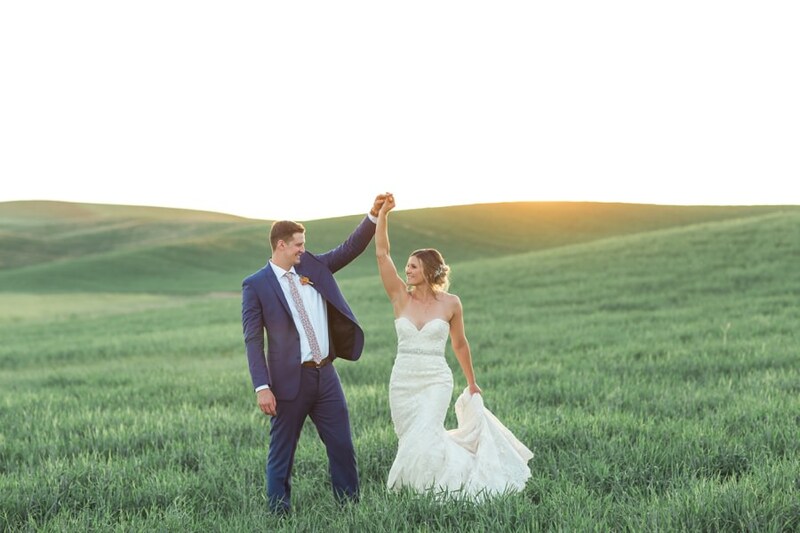 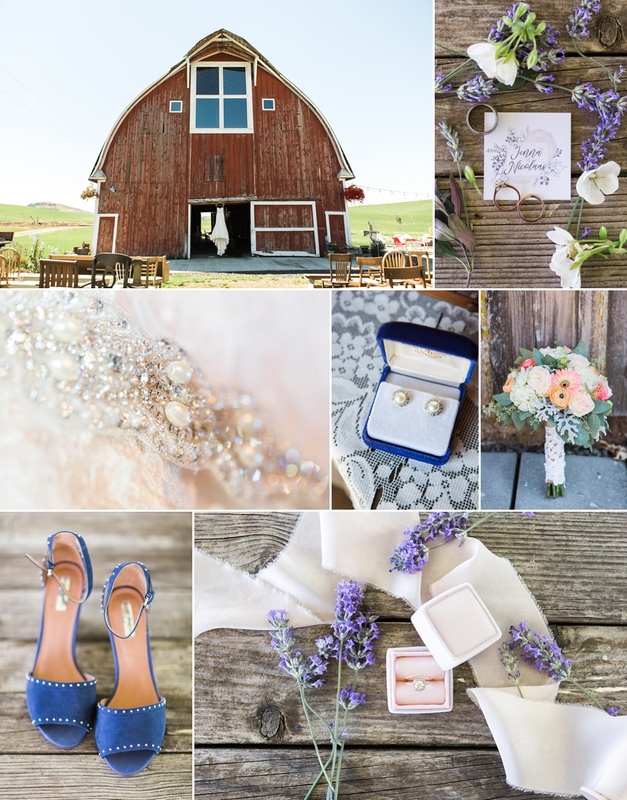 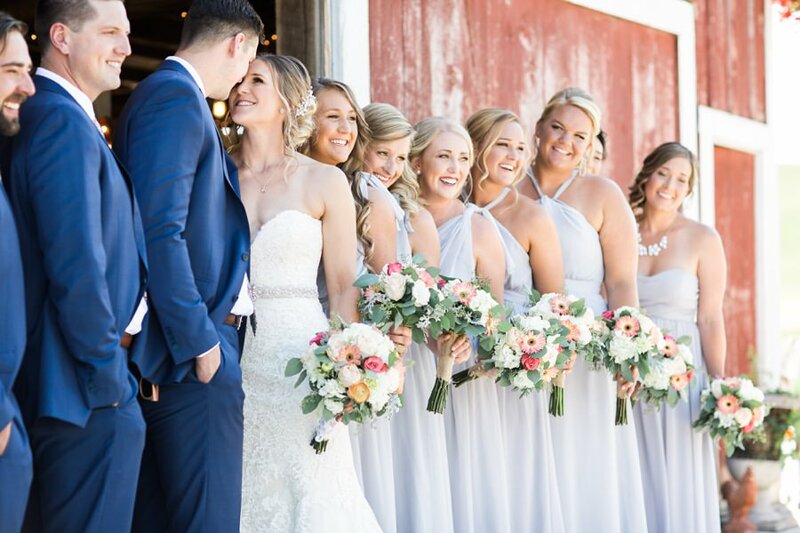 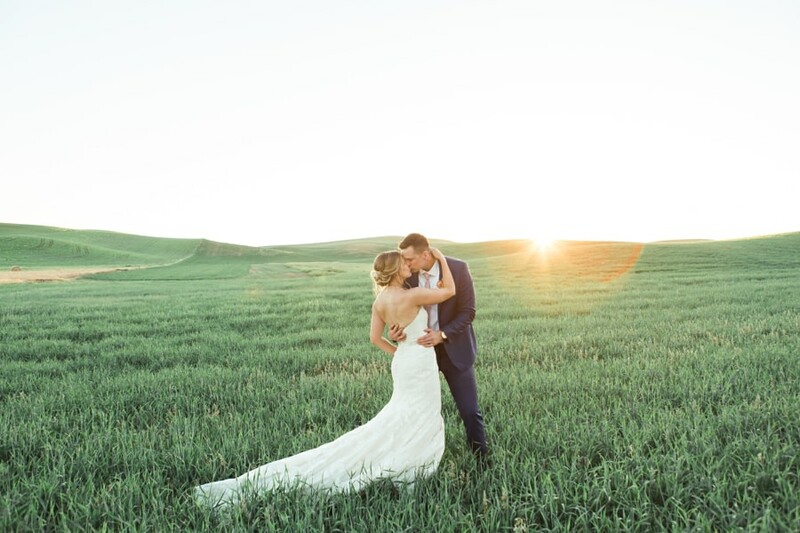 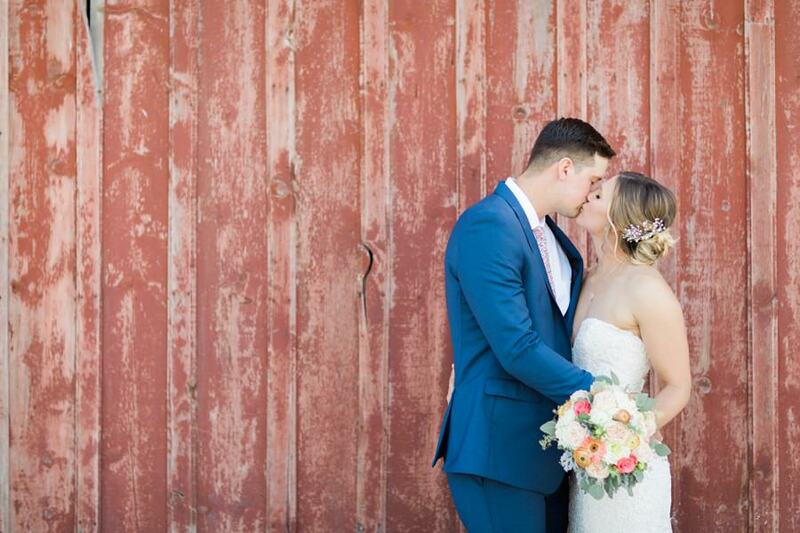 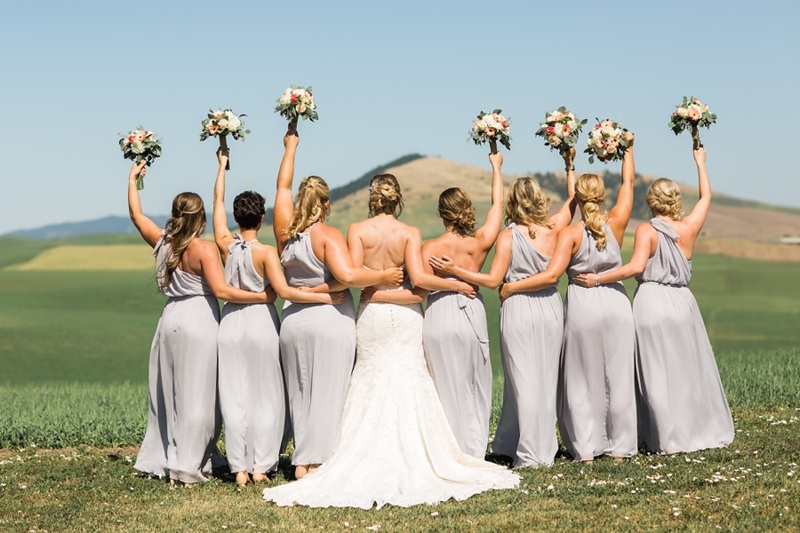 It was a great honor for us to document a very special day for Jenna and Nicolaas, as they celebrated their love at the beautiful Thompson Barn in Farmington, WA. 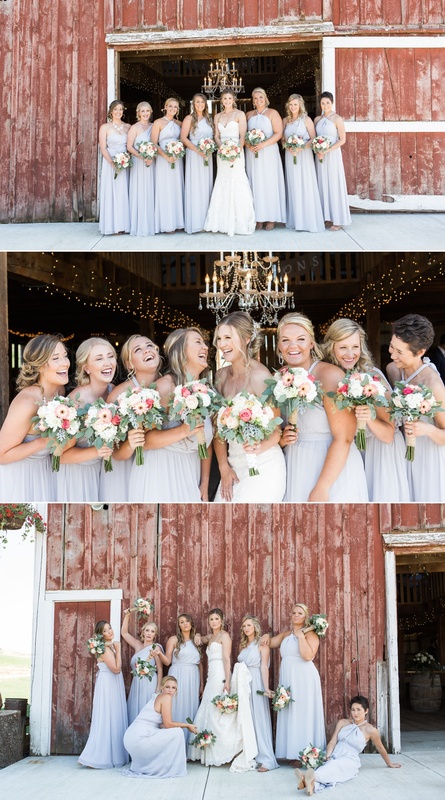 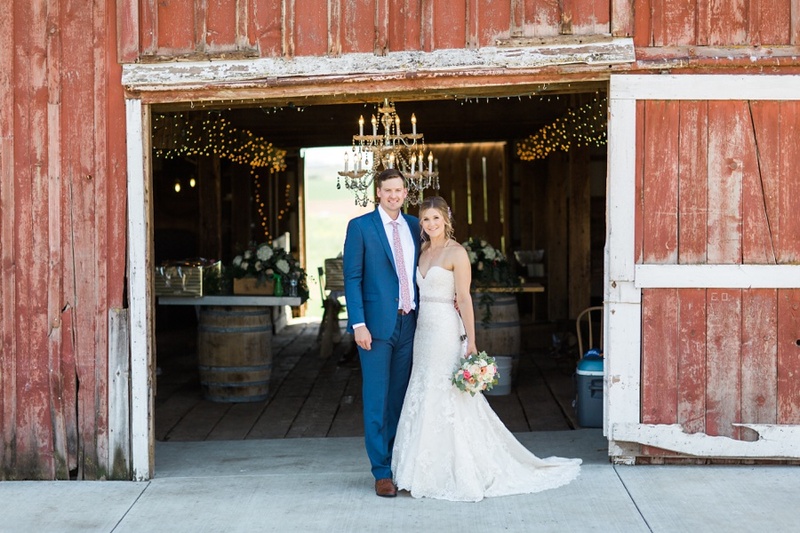 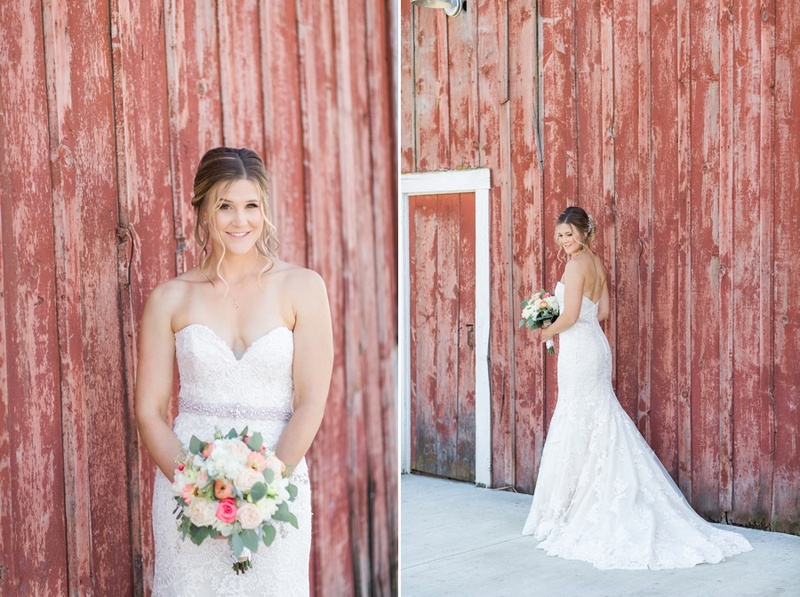 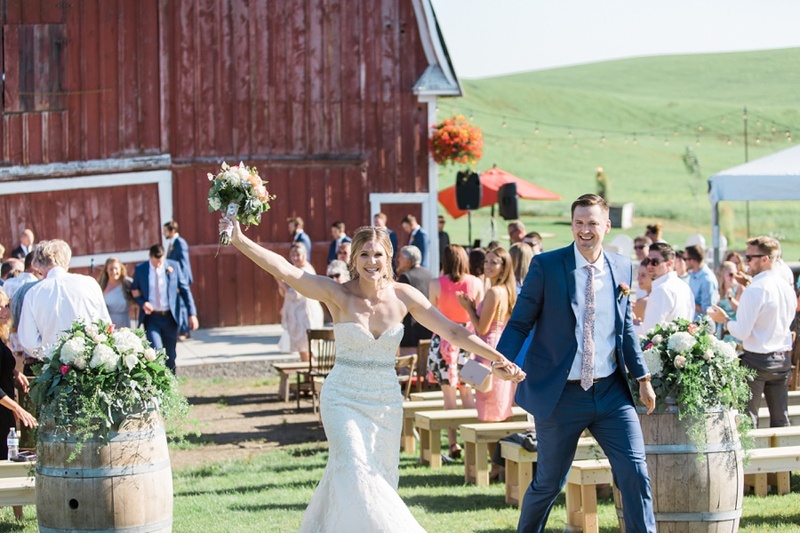 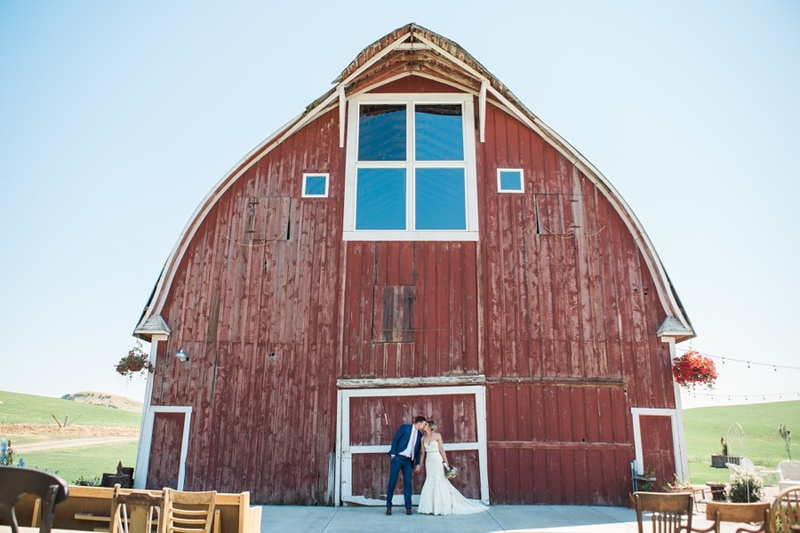 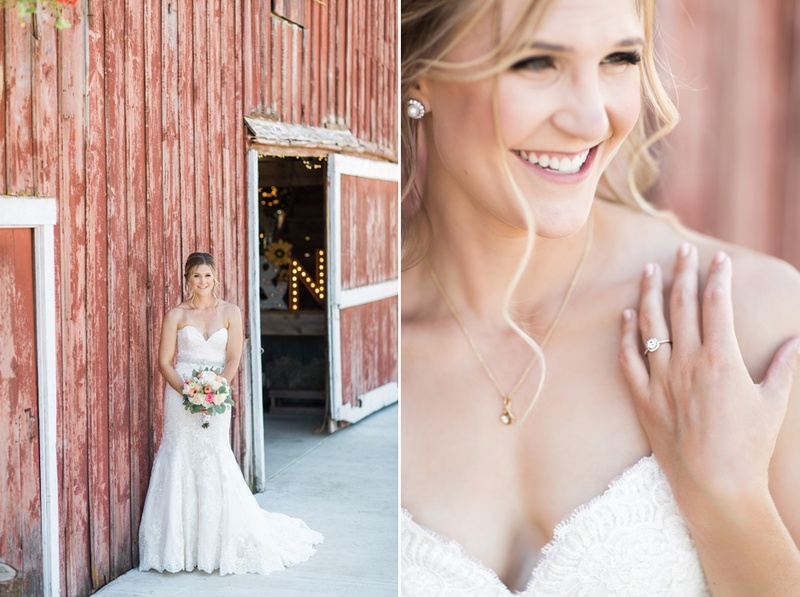 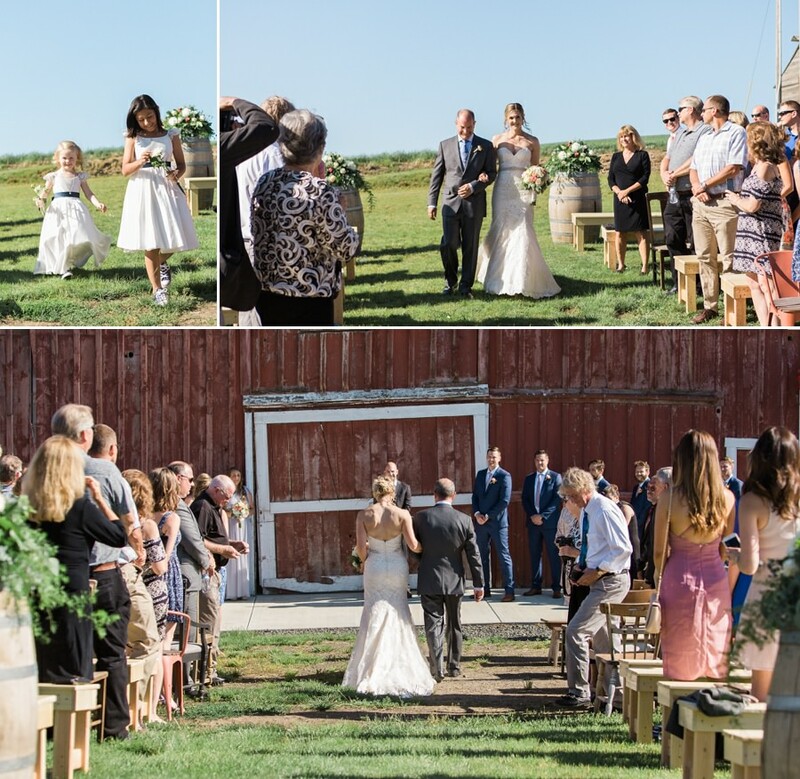 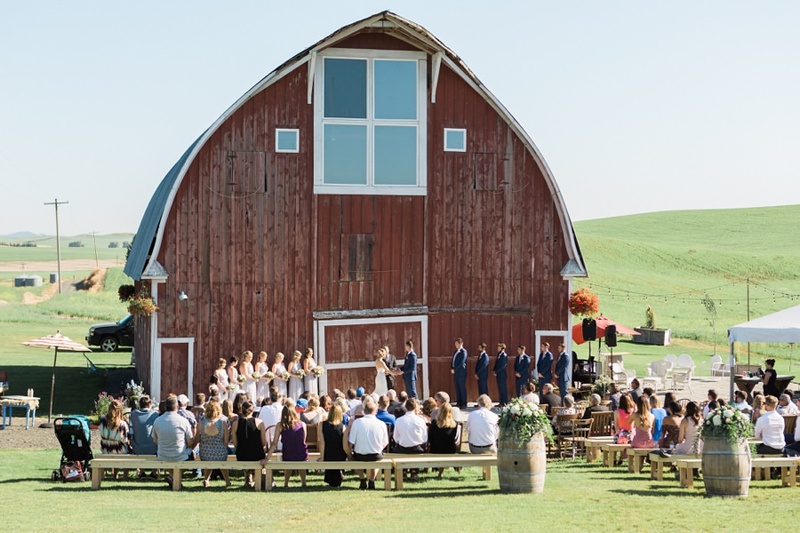 This peaceful place with big old red barn, surrounded by endless fields of barley was a perfect setting to say “I do”. 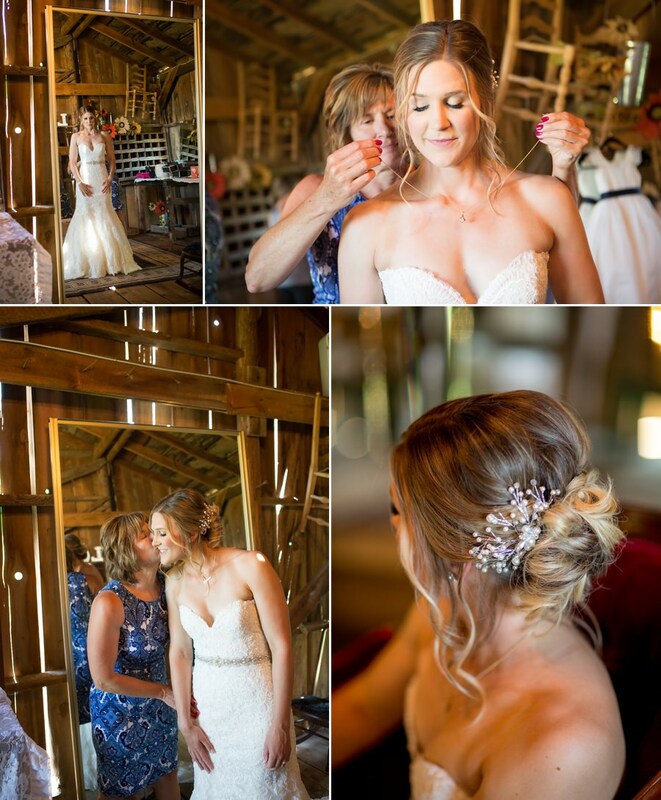 On this hot July morning every little detail was perfect and preparations begun! 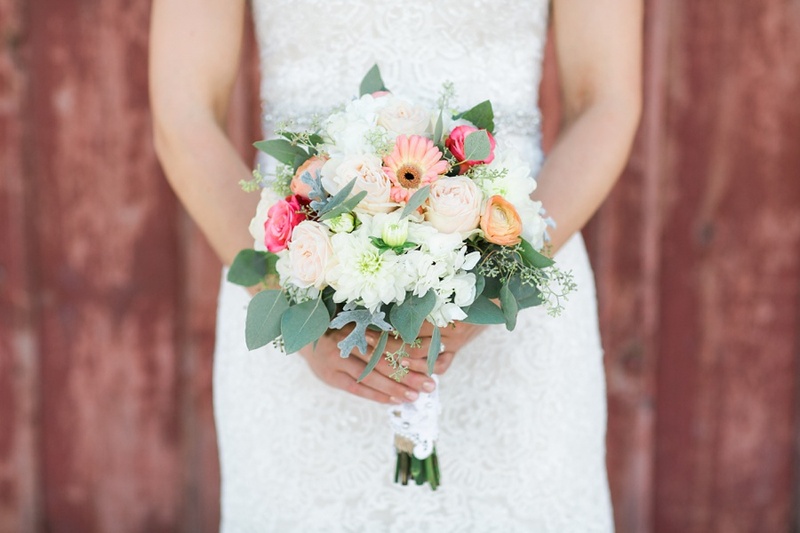 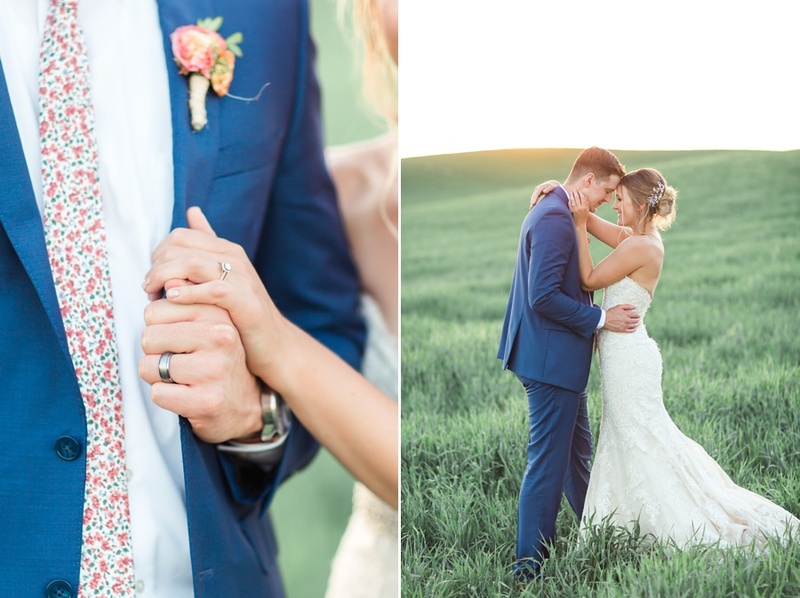 Jenna’s dress, rings, shoes and flowers looked absolutely stunning and elegant! 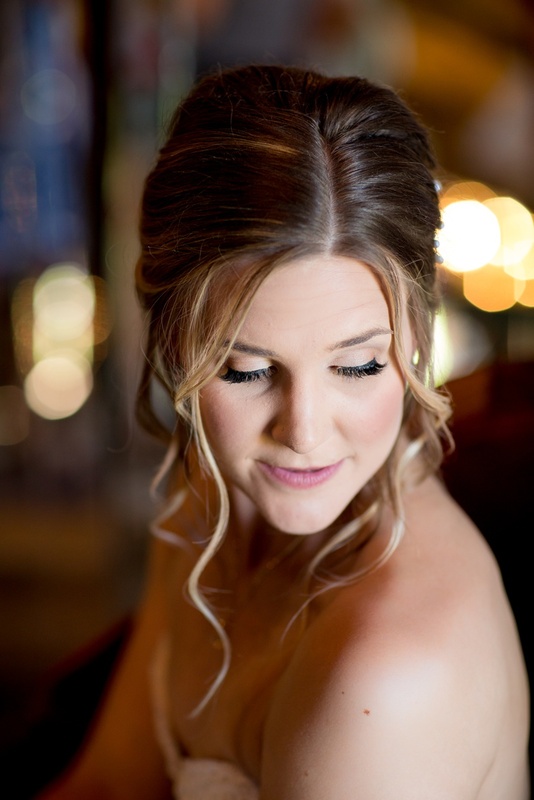 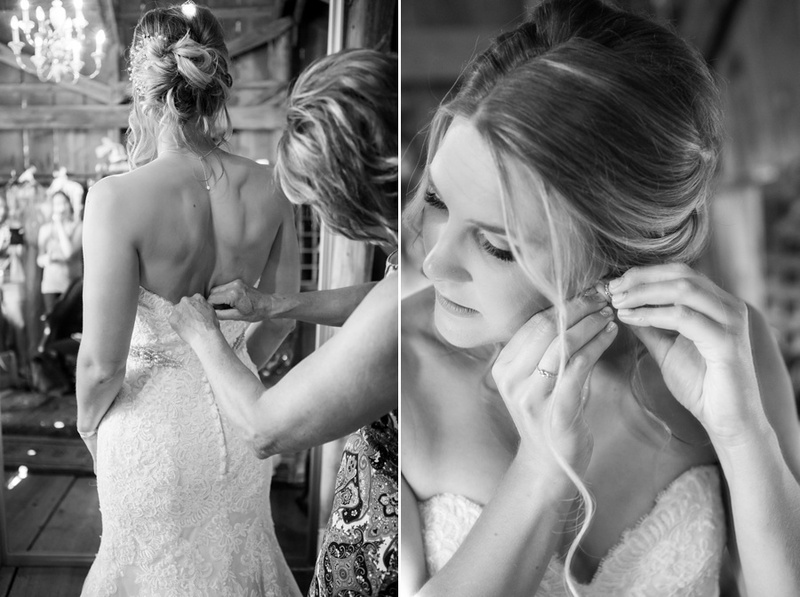 Last finishing touches before meeting Nick Absolutely GORGEOUS BRIDE!! 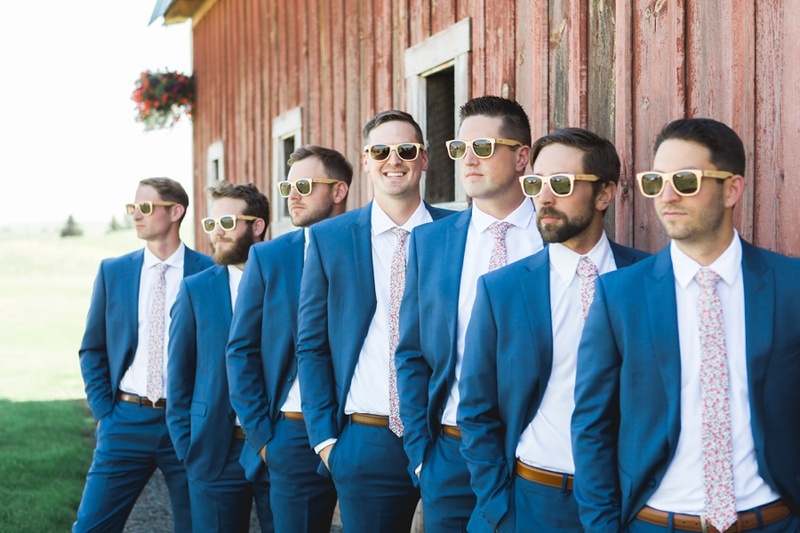 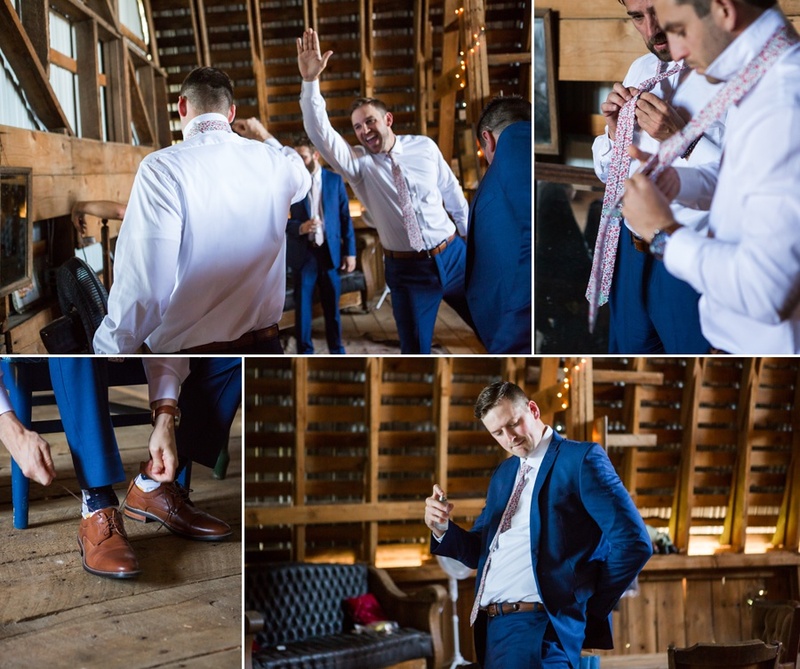 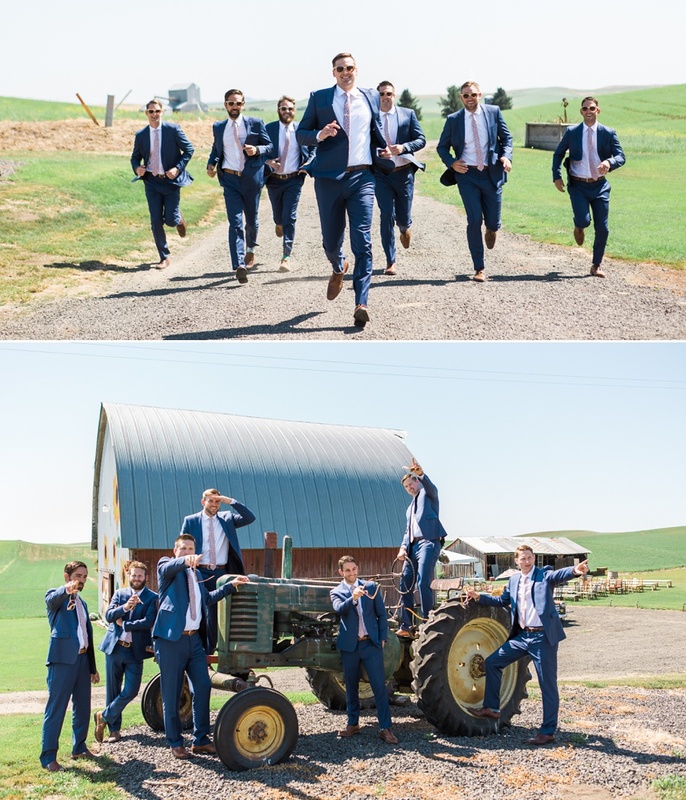 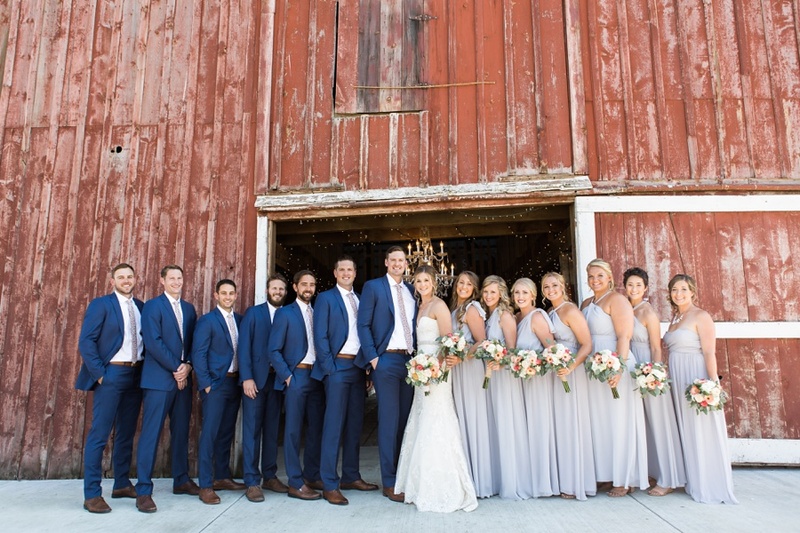 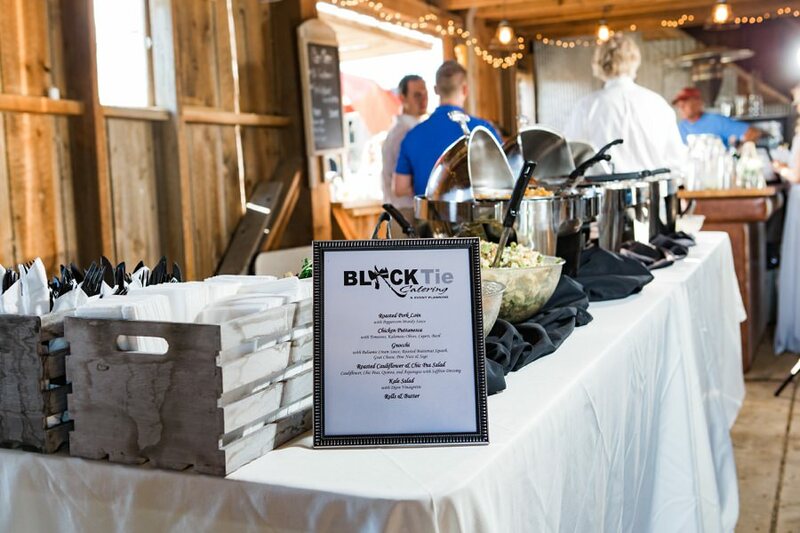 Nick and his groomsmen were getting ready upstairs at the barn, and they had a lot of fun! 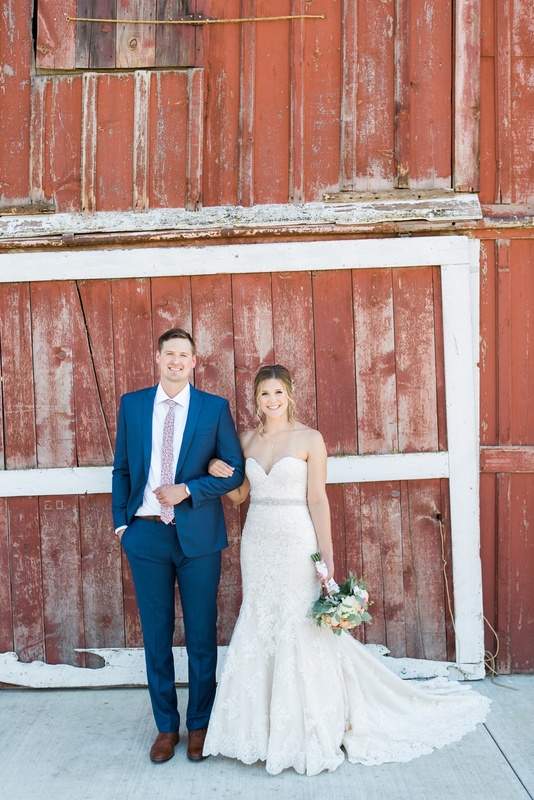 Such a beautiful couple! 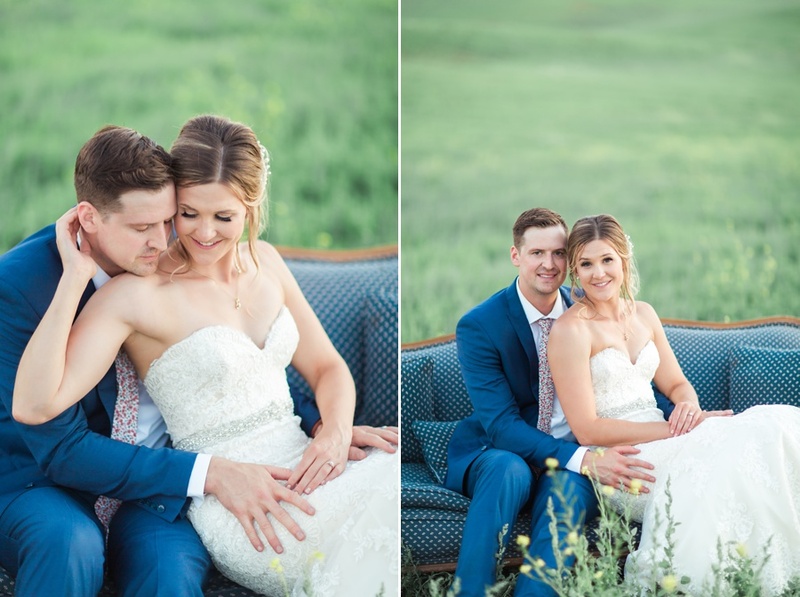 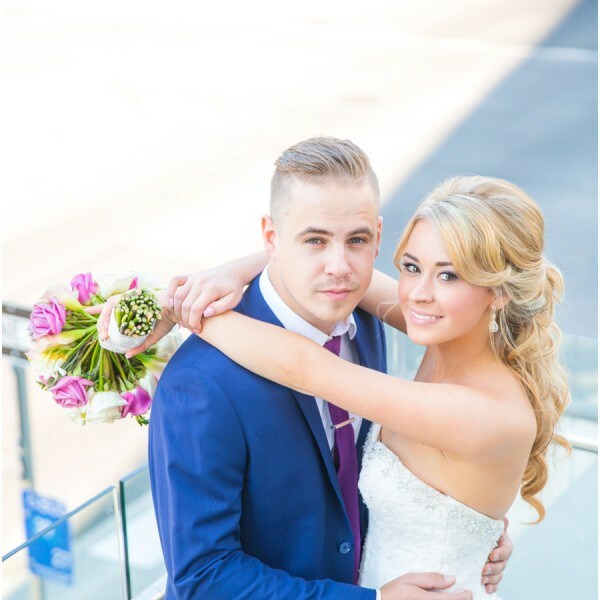 Jenna and Nick were a joy to work with! 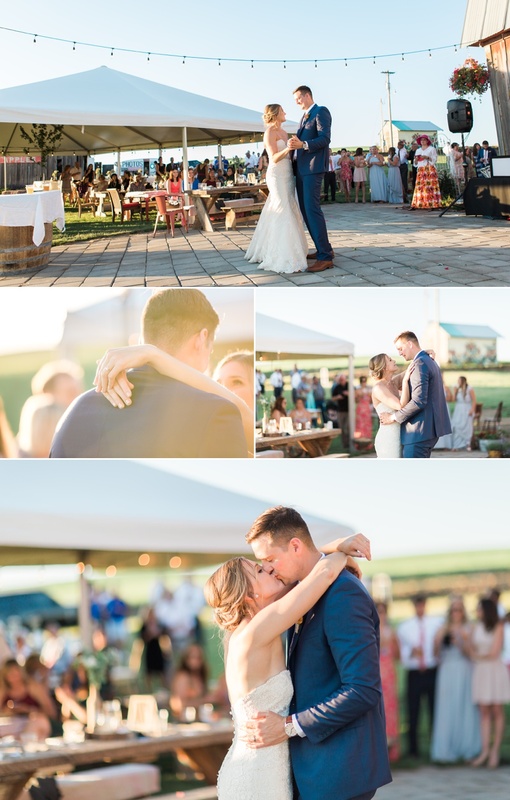 … and they were even dancing during photos:) So romantic! 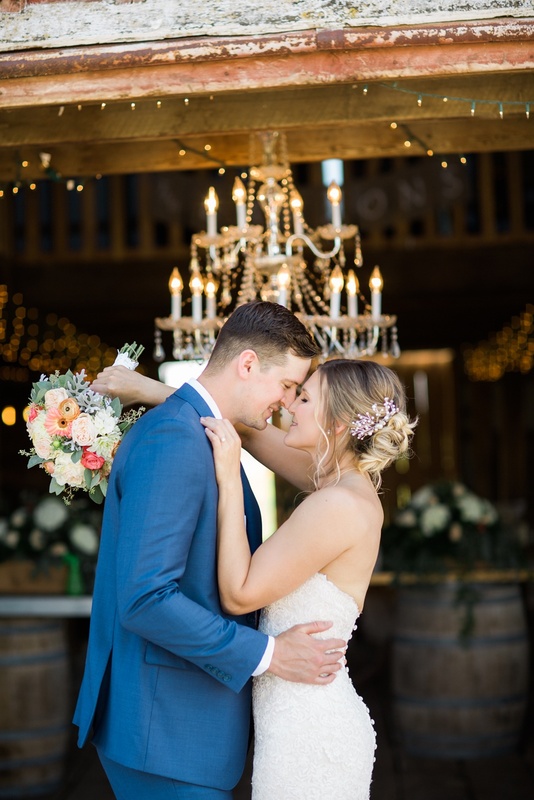 Simply beautiful, these two! 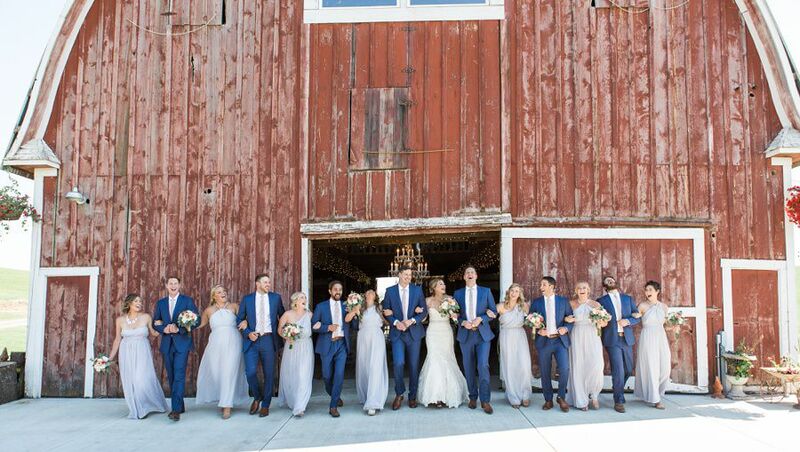 The rest of the wedding party joined us for some more photos, and everyone was so happy and fun! 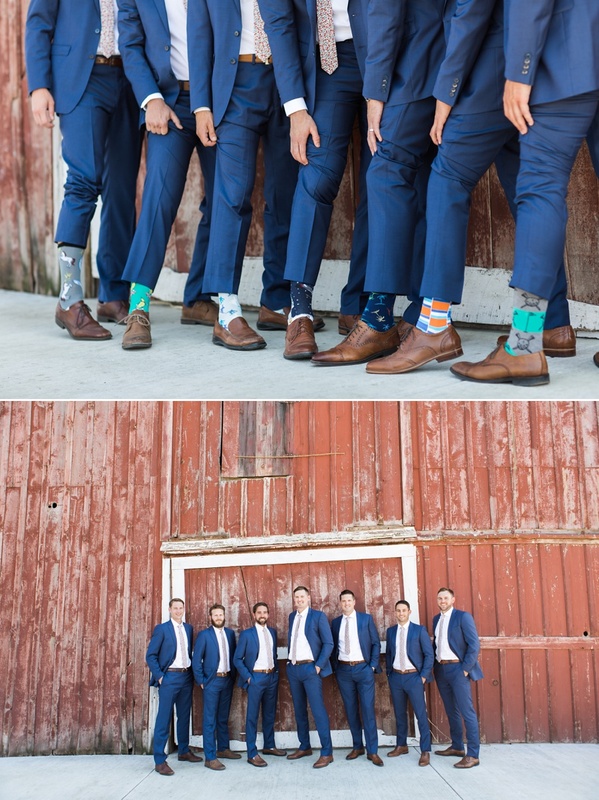 Groom and Groomsmen had very special socks:) How cool is that?? 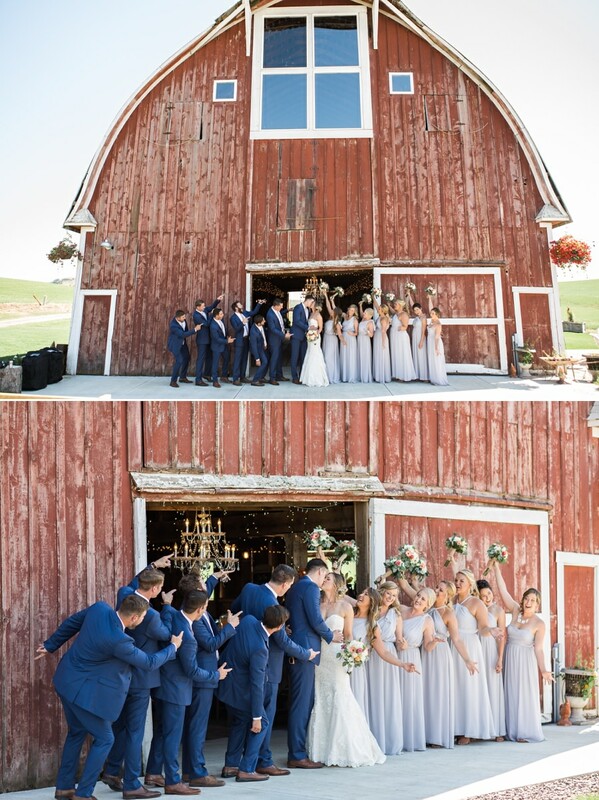 Love this loud cheering and celebration! 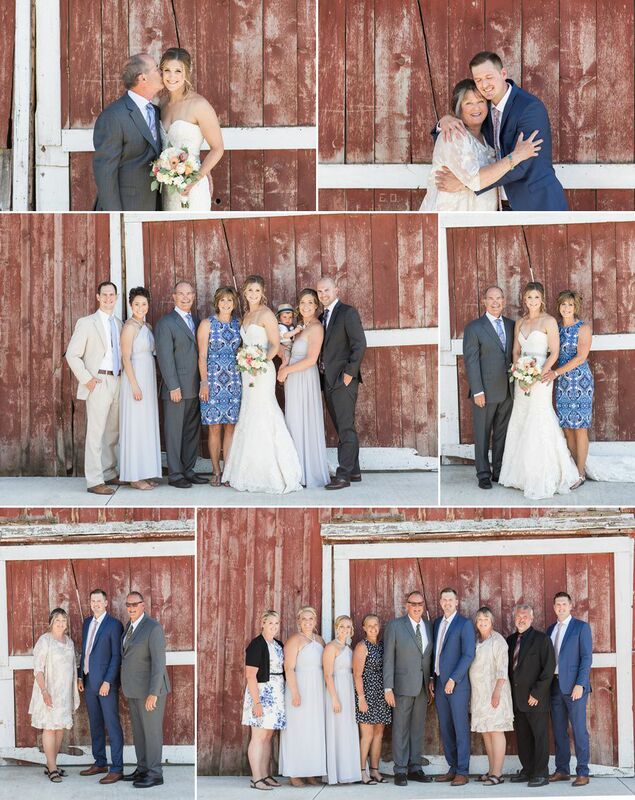 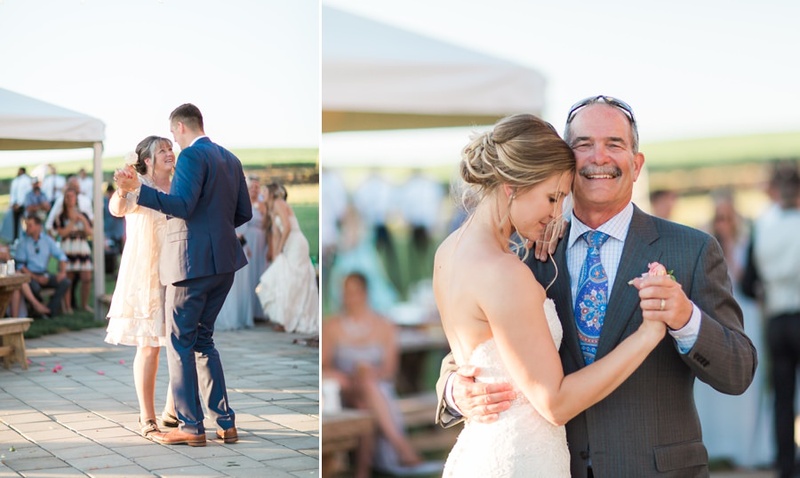 Last hour before the Ceremony we dedicated to family photos, and we loved seeing all the beautiful smiles and hugs. 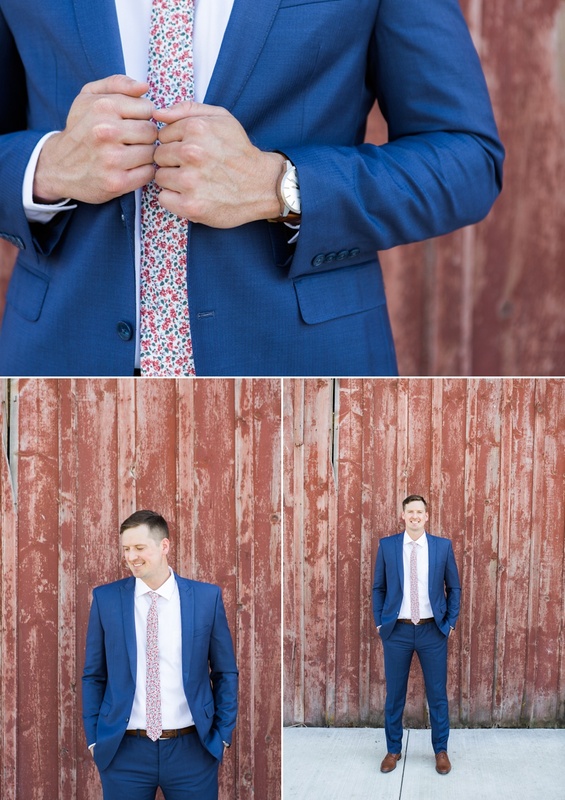 Here’s only a few, but you can click on the link of the bottom of this post to see more! 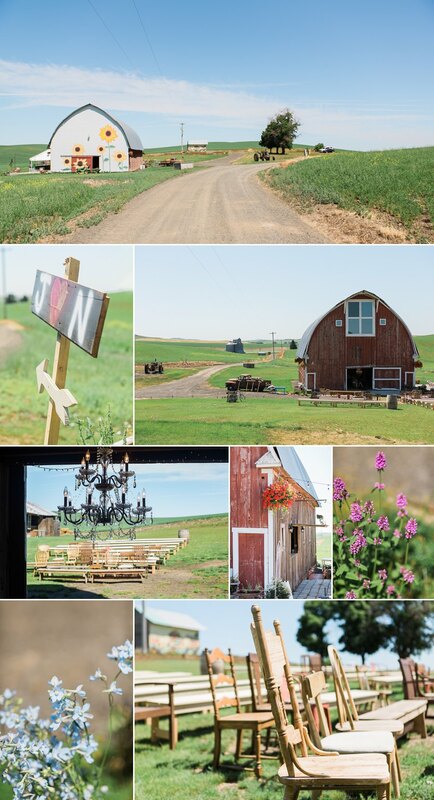 Everything was ready for the ceremony and all the guests started to arrive.. 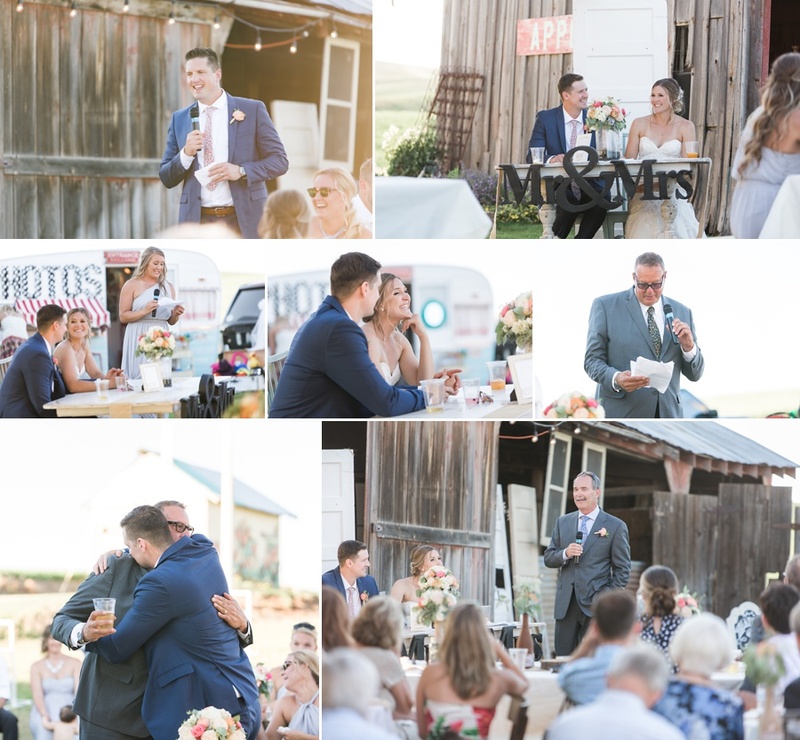 There were a lot of special moments during the ceremony.. And they are officially MARRIED! 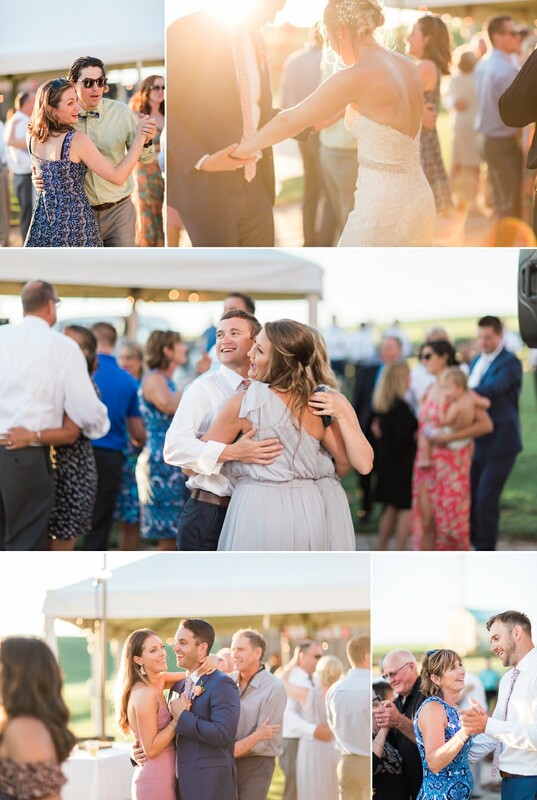 And a warm sunlit evening filled with touching toasts and lots and lots of dancing! 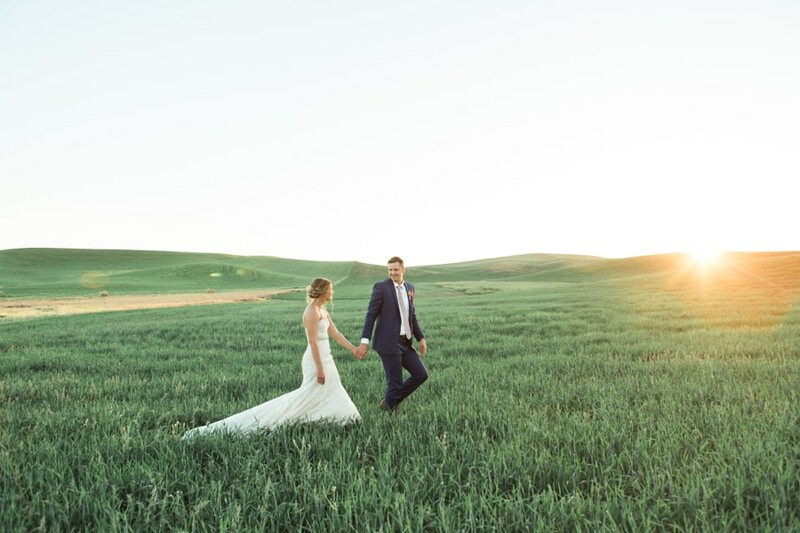 As the sun was going down and the fields were wrapped in beautiful sunset, we took Nick and Jenna for some more photos of just the two of them. 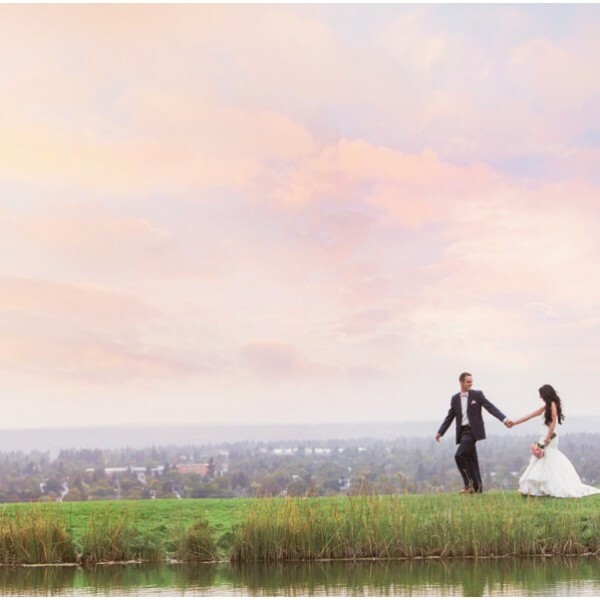 So incredibly beautiful and romantic! 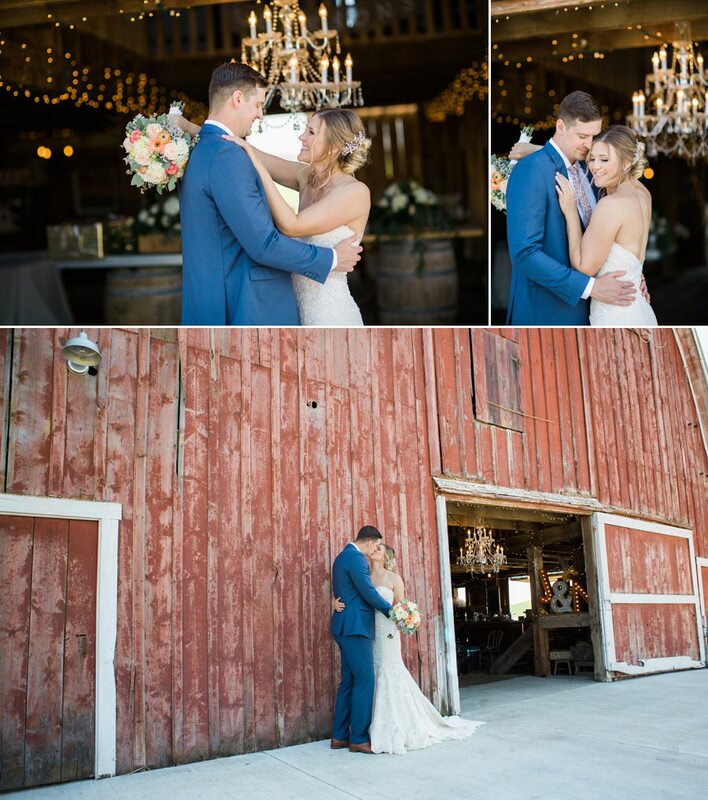 Both Nick and Jenna have such genuine hearts, it was truly an enjoyment to capture their love for each other! 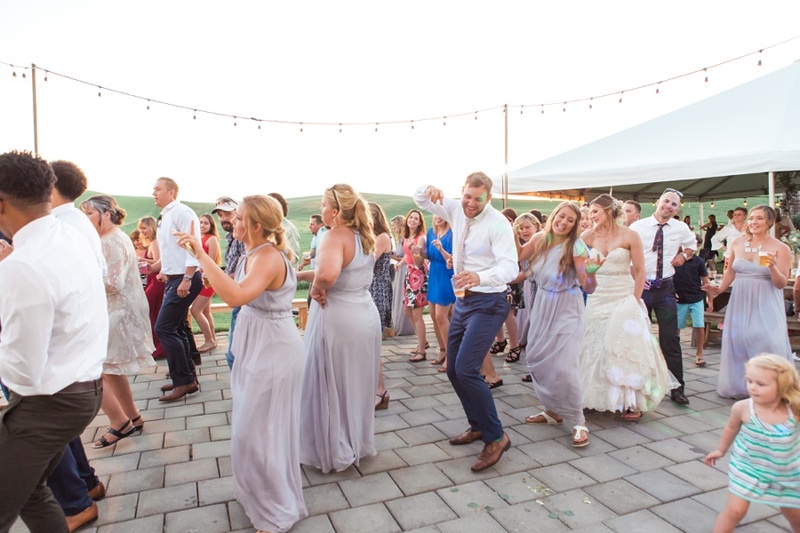 Evening continued with more dancing as they joined everyone on the floor and awesome DJ Nate with Complete played some famous and catchy tunes. 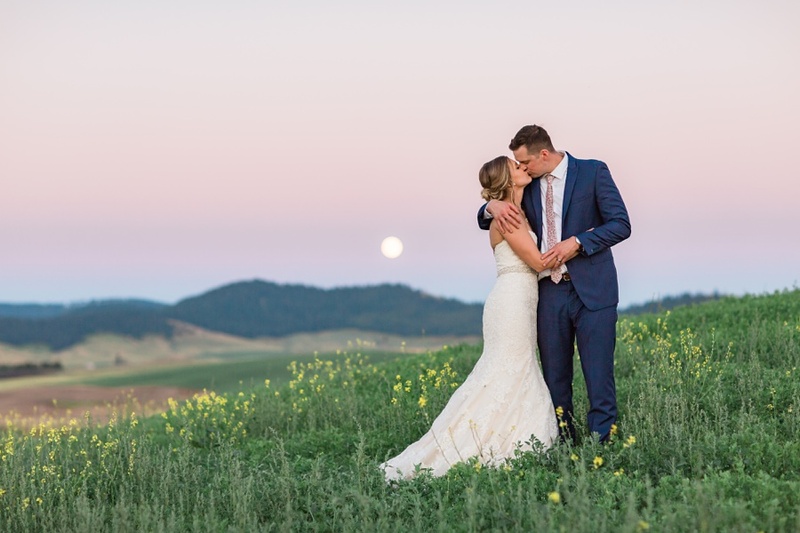 The day ended with the most scenic sunset and a beautiful moon… Congratulations, Nick and Jenna! 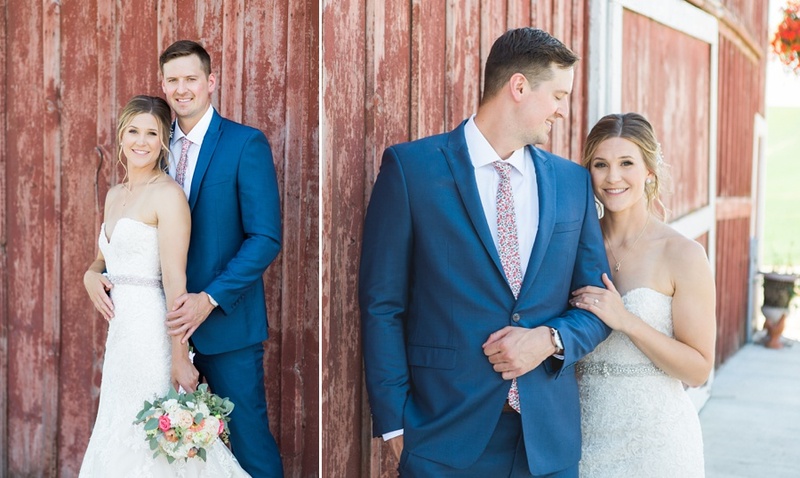 Wishing you a lifetime of beautiful moments together, filled with love, joy and wonderful adventures as a family! 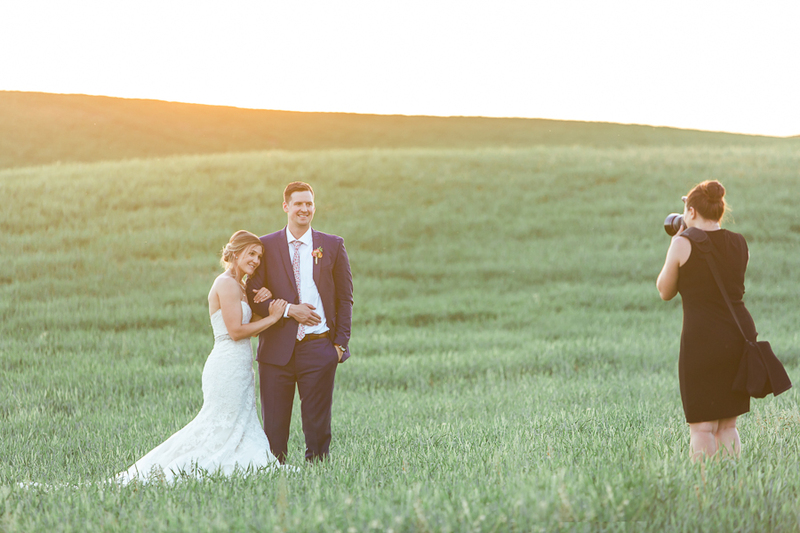 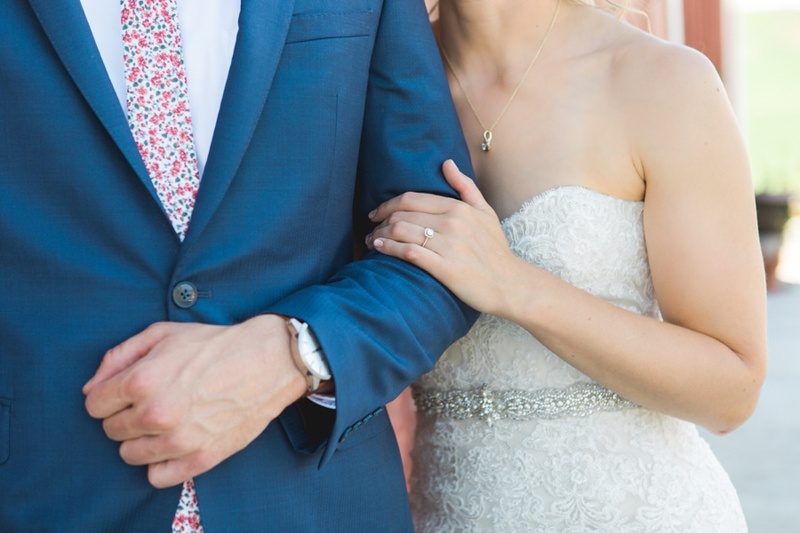 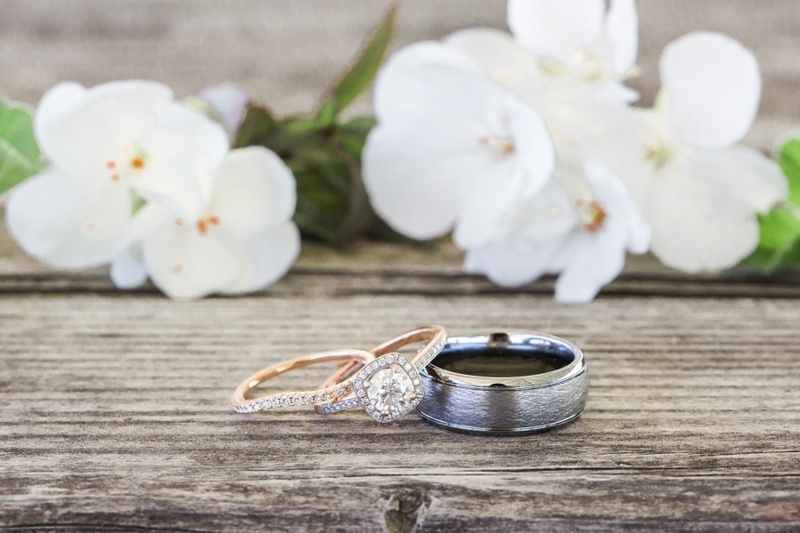 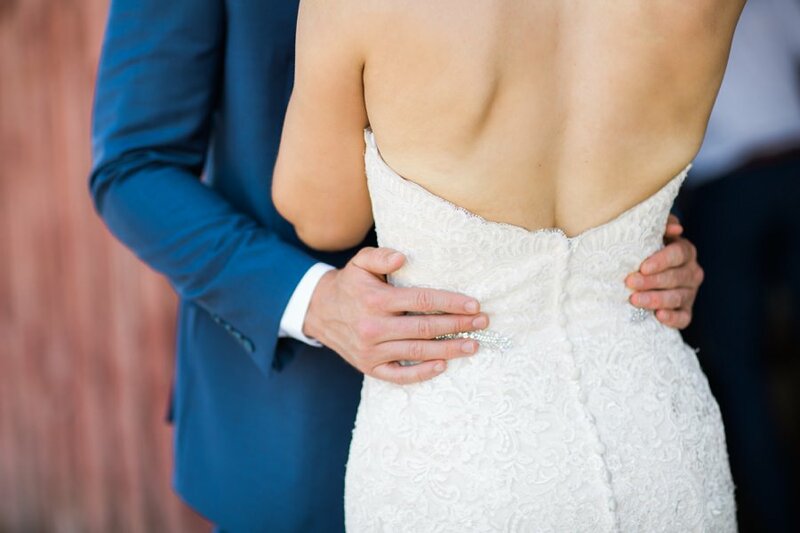 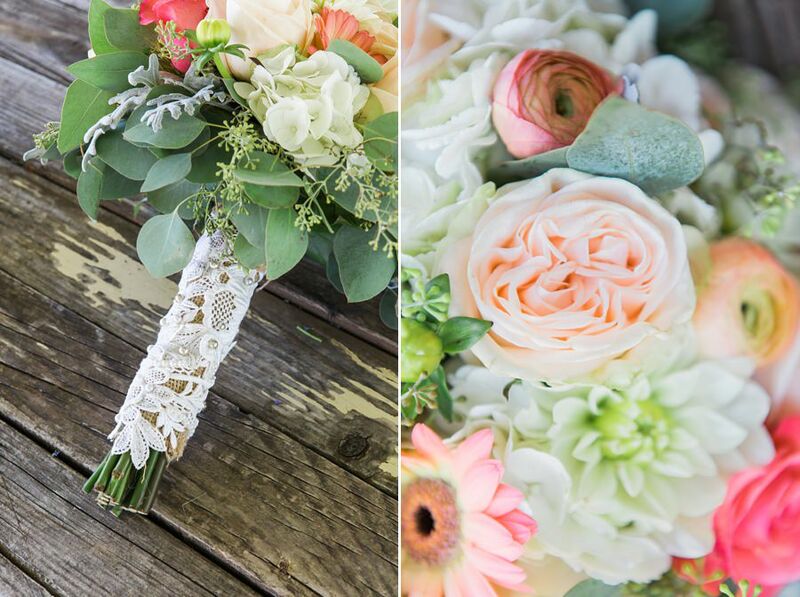 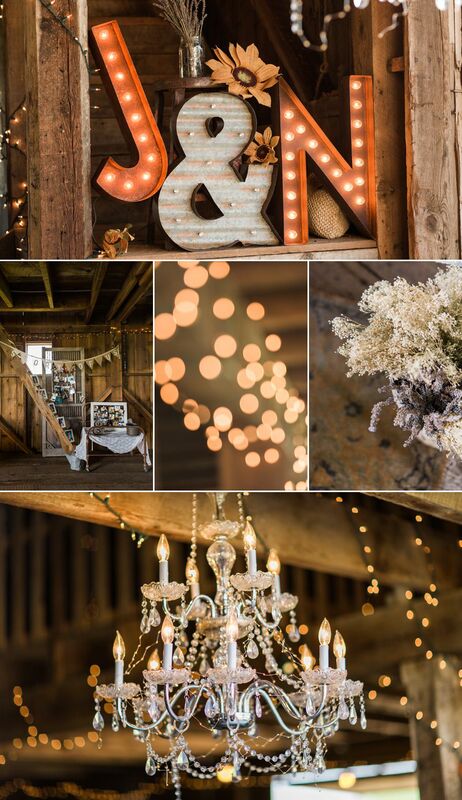 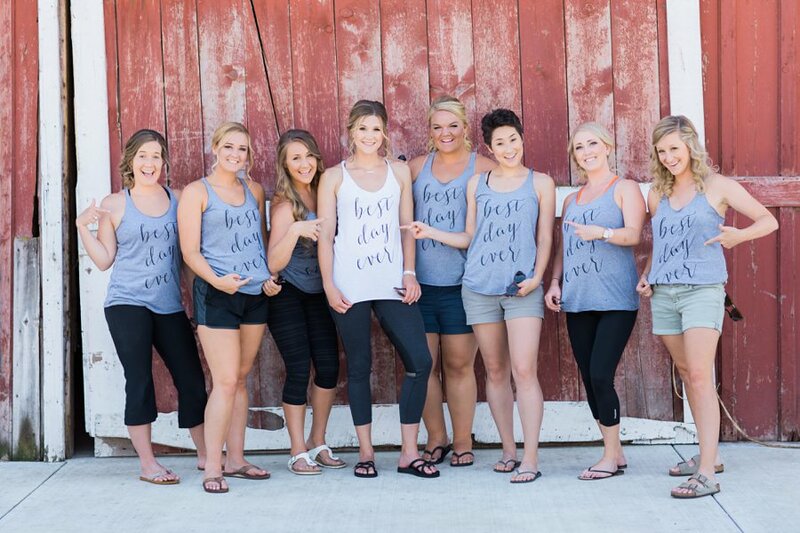 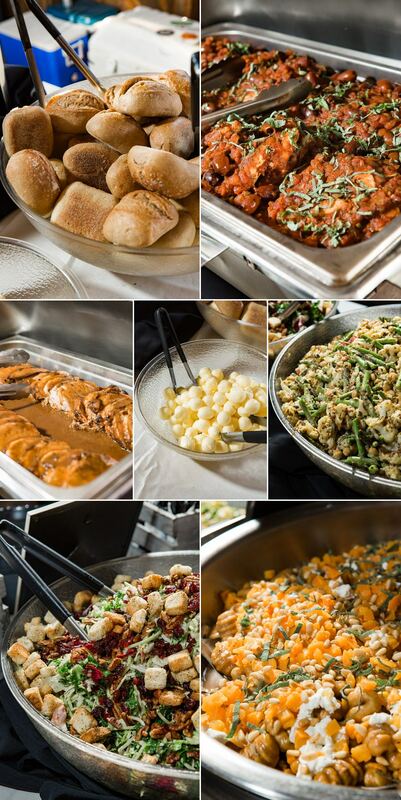 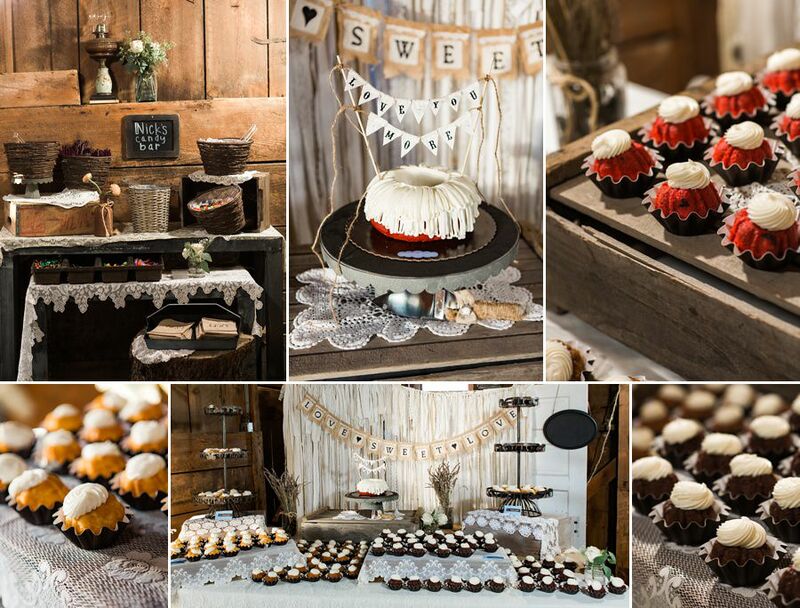 We feel so honored that you have chosen us to document you Wedding! 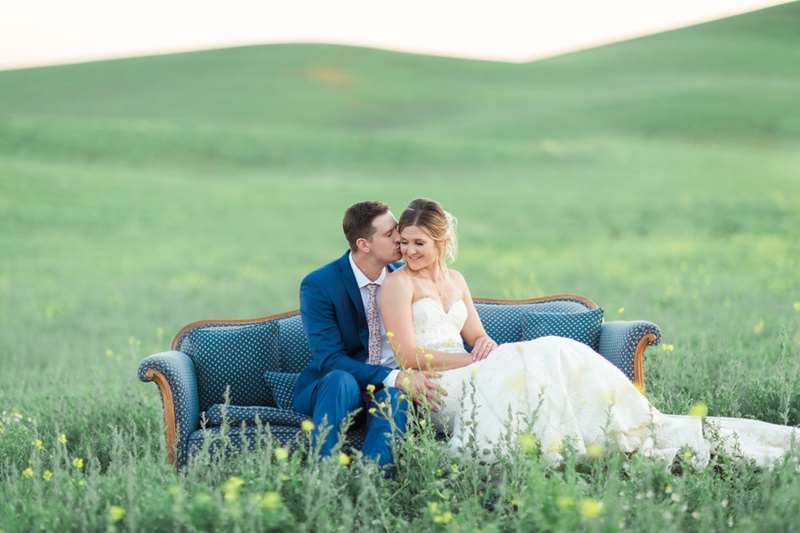 Family and friends can log into the private gallery to see more photos and order professional quality prints and digital downloads – to enjoy simply click HERE and enter the password from your guest card. 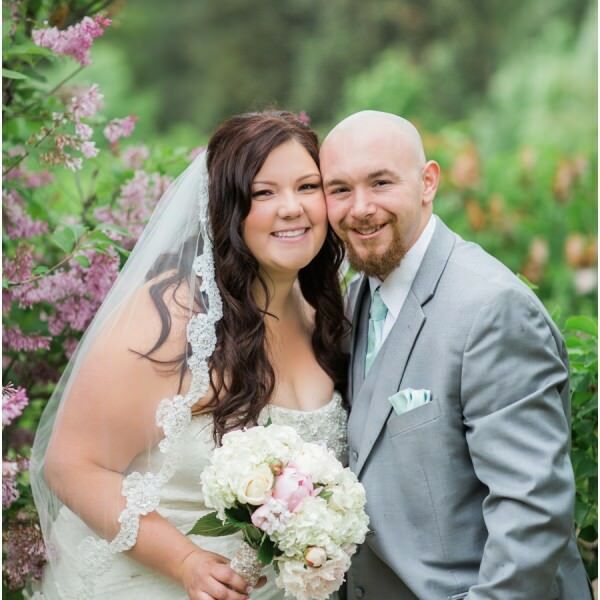 Thank you so much for taking time and visiting my page, please feel free to share your comments and congratulations for the Bride and Groom down below!